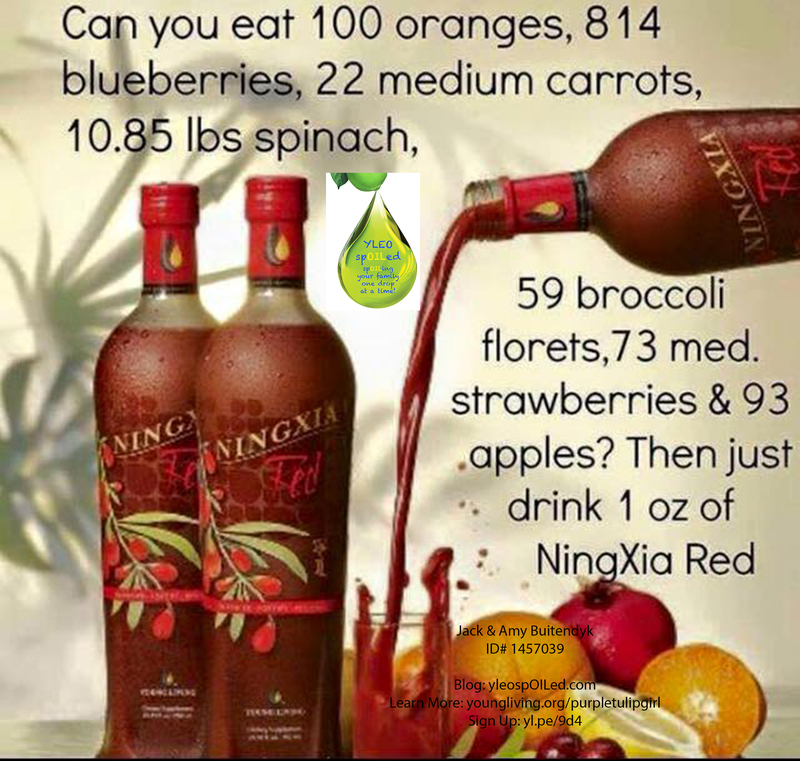 NingXia Red is an amazing drink. You don’t need a lot of it and what little bit you do drink you get so much goodness! If you were are able to afford all these foods daily then by all means go get them. Then the next trick though is to be able to eat all of them for the nutrition they provide, daily. So you would need to eat: 100 Oranges, 814 Blueberries, 22 Medium Carrots, 10.85 lbs of Spinach, 59 Broccoli Florets, 73 Medium Strawberries and 93 Apples. 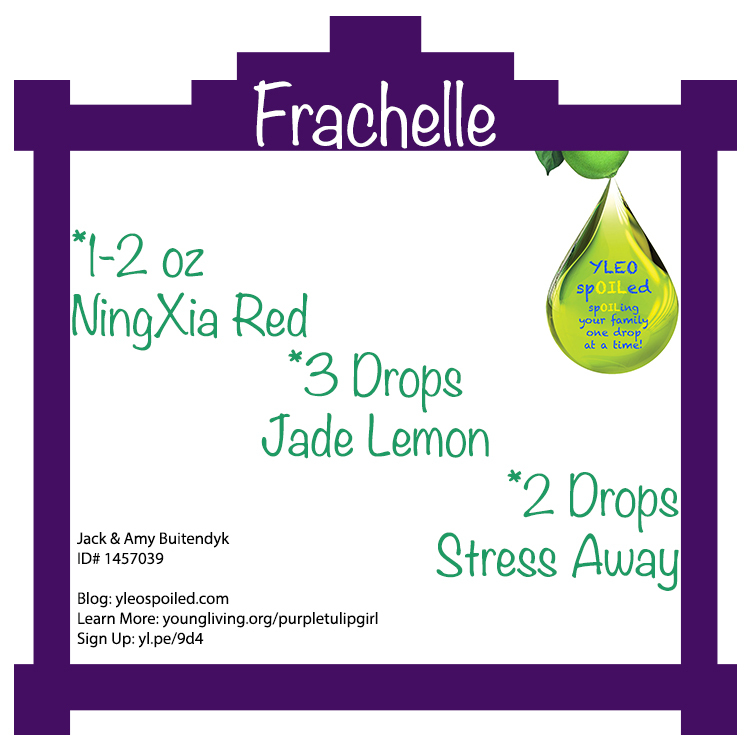 You can also mix up NingXia Red by adding some other Young Living essential oil drops to your drink! 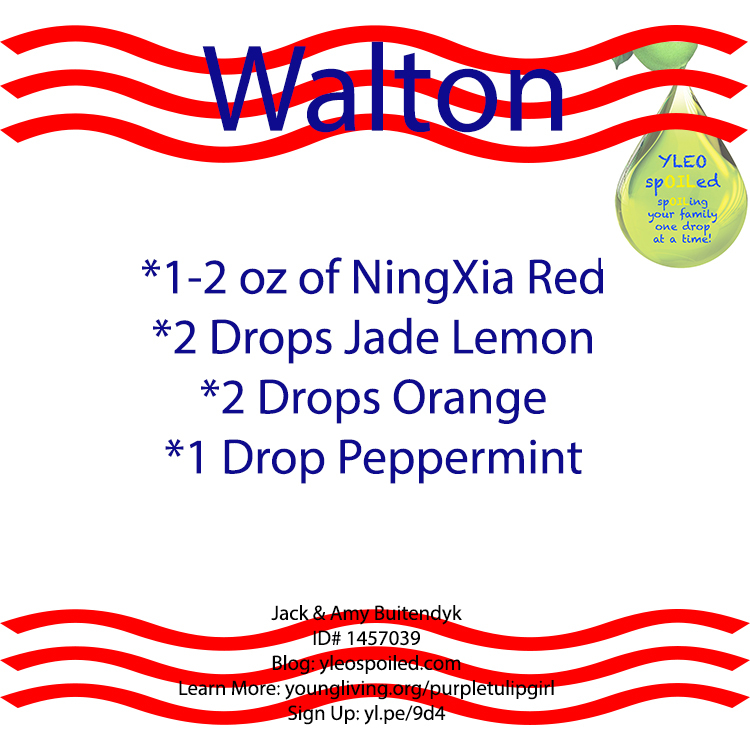 Here are some of those recipes for you to try and enjoy! Please after you have tried them come back and share what your favorite one is, or if you make up your own! Personally I love this drink. I love how it tastes and I look forward to drinking it. 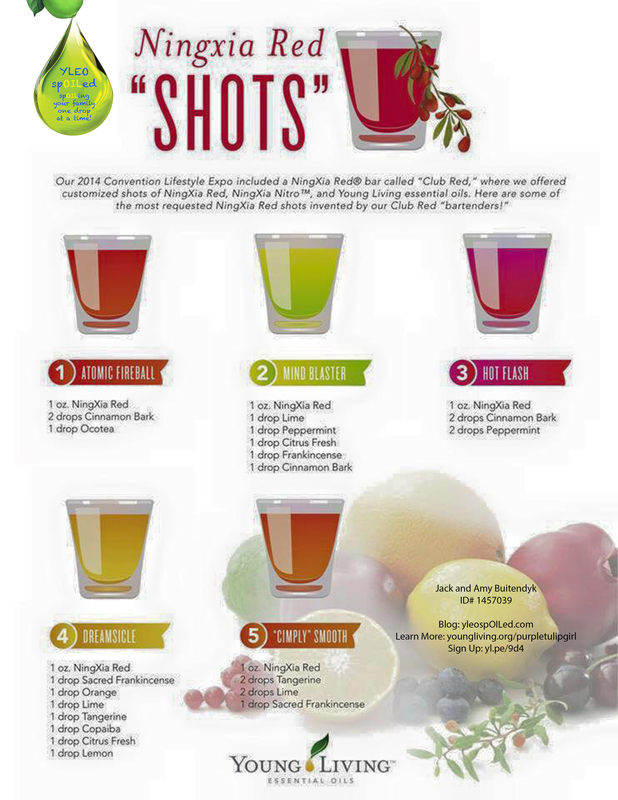 I can’t wait to try some of these recipes to see which one I enjoy the best! 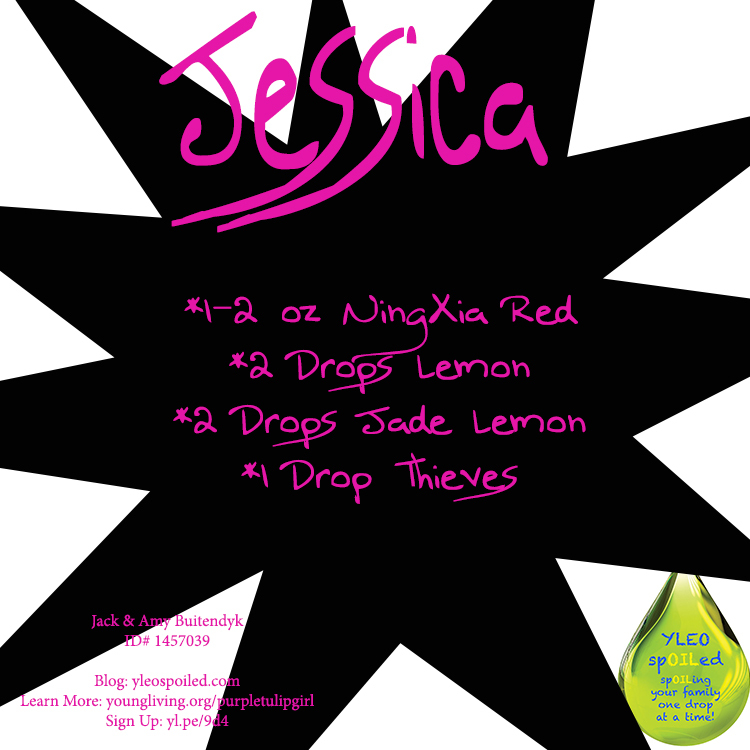 So tell me what is your favorite way to drink your NingXia Red?